Fant ut at jeg er den heldige vinneren på Joanna Sheens ch. blogg av disse Giordano decoupage arkene idag! Gleder meg til de kommer ~ jeg er veldig glad i de nydelige katte og hunde bildene hans, har lagd mange kort med Giordano Cd'n jeg har kjøpt der. On another note ~ How lucky am I?! I won the blogcandy at Joanna Sheens ch. 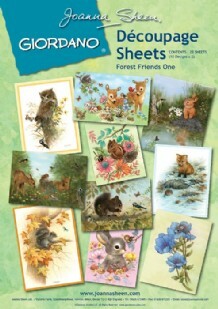 blog, a gorgeous set of Giordano decoupage. A fine addition to my Giordano CD, of wich I've made lots of cards by. ● DP2 ~ Mo Manning #139. ~ At the Park w/Mo image. ● Bunny Zoe's #25. ~ Girls, Girls, Girls!!! ● Digital Tuesday #164. ~ Butterflies. ● Southern girls #46. ~ Things with Wings. ● Pile It On #24. ~ Let's get Outdoors ! Stamps/Images: Mo Manning digistamp - Dani and Friends 'Rae with journal'. Kreativ Hobby rubberstamp 'tenker på deg' (=Thinking of you'). Stempelglede - 'Grunge coll.1' rubberstamps (flowers & swirls). Papers: Bazzill cardstock. Scenic Route Paper Co. Sarah Milne 'North Shore Pipeline (used both sides). Pages inside from Kremmerhuset 'via airmail' journaling book designed by Moku. Embellishments/Tools: Spellbinder Nestabilities - Labels 8 - S5019. 7 Gypsies 'Gaffer tape pack - Red' (=adhesive ribbon).. I used Marvy LePlume markers to color the image on glossy paper. ● DP2 ~ Mo Manning #138. ~ Anything Goes w. Mo image! ● Kort 'O' Mania #65. ~ Going Digi Crazy! ● Outlaws ~ Greetings Ch. June 11th. ~ Outdoors, Fathers day/Boys! ● Paper Crafting Journey ~ Colour it Up! ● Simon Says Stamp and Show ~ Anything Goes! Stamps/Images: Digistamp from Mo Manning - Digital Pencil 'brothers c'. Clearstamp sets from Norsk Stempelblad / Ett Trykk 'tekst 07'. BuzzCraft 'Oliver's Orchard no.488'. Magnolia 'BakgrundsSwirl Bröllup' rubberstamp. Papers: Bazzill cardstock. DCWV 'Mariposa' 12x12 paperstack. Embellishments/Tools: Docrafts Universal A6 Embossingfolder 'Pampered Pets - Frame'. Nille Memories brown rhinestones. I used Twinkling H2o's and Tim Holtz Distress Ink pads to watercolor and distress image and papers. Ranger Glossy Accents. DoodleDragon ~ Dustin Pike ch. ~ Sketch (see blog). Outlaws ~ Creative Freebie Ch. May 20th.-June 3rd. Outlaws ~ Monday's Greeting Card Ch. ~ Zoo/Animal. May 28th.-June 3rd. Simon Says Stamp & Show ~ One for the Boys! Stamps/Images: Outlaws CFC digital freebie from Sandy Hugget aka. Sandi's Samples 'my jeep'. Dustin Pike digistamps 'DuneC', 'DirtC - text', 'ExtremeC', 'Giraffes', 'HornCd', 'Love' - taken part of txt Zoo, 'Side', 'SafariboyB', 'Snakee'. Inque Boutique See~D's Savoir Faire 'Awesome' rubberstamps. Papers: Bazzill & other cardstocks. Got to use up lots of scrap cardstock for this! Embellishments/Tools: Eyelets. Nille Memories ribbon & epoxy stickers. 3D foam tape. Gluedots. Tim holtz Distress Ink Markers & pads to color images, and distress tool on the edges. I luv this cute little tooth fairy! Here in Norway there ain't no special tradition with toothfairies ~ not in our family anyways, don't know about others? So the message is neutral, for use in other occasions. "You'll find Joy in the everyday Moments..."
A day for Daisies #44. ~ Pinwheel inspiration photo = I used the colors ~ blue, purple, pink, green & yellow! CDAC forums Progressive Challenge #18. ~ with opt. 'Summer Sizzles' theme (=cdacpc18). Divas By Design #37. ~ Anything goes! Di's Digi Designs ~ Show us that BLING! Simon Says ~ Anything goes this week! Stamps/Images: Digital stamp from A day for Daisies 'Tooth Fairy Joy' CDACPC18 freebie but I already had this one in my collection :) Magnolia 'Tingla' & 'BakgrundsSwirl Bröllup' rubberstamp. Kreativ Hobby Design - textstamps. Papers: Bazzill cardstock. Shabby Green Door from Daisy Bucket Designs - On the wings of a dream 'Songbird'. Embellishments/Tools: Spellbinder Nestabilities - Labels One s4161. 3D foam tape. Nille Memories rhinestone stickers (green). Hero Arts gemstones crystals 'baby blue & clear'. QuicKutz Butterfly KS-0172. For watercolors I used Twinkling H2o's as well as Tim holtz Distress Ink Markers & pads to color and distress the card & image. I've gotten the newest 'limited edition DI pads - seasonal spring 2012' and the Peacock Feathers is such a gorgeous color, my new favourite in the blue/green category I think!